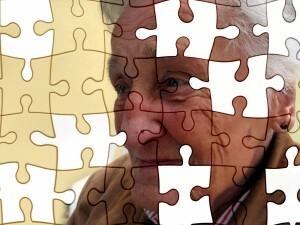 Alzheimer's Prevention | Can we prevent or even reverse Alzheimer Dementia? Welcome – Alzheimer Dementia is a horrible disease often confused with moments when people have “senior moments” as it mainly effects older people. However, there are options available to slow down and in some cases even reverse the symptoms of this disease. Our purpose is to bring together information about Alzheimer’s Dementia from various sources, like universities, associations, Alzheimer Organizations, doctors etc. This is a bit of a puzzle – and we try to help you put the pieces together. To save you a lot of time and effort – we will bring all relevant information in this one location. Our main focus is to help you understand how you can slow down or prevent the onset of Alzheimer’s Disease. So please browse the pages and leave us a comment. All feedback will be appreciated. Please stay up-to-date and follow our posts in our blog. Click here. Great niche that is providing helpful information about Alzheimer Dementia! My father suffered long from it and there is good reason for me to read up more about its prevention. Thank you! Thanks for the feedback Fred. I too have a greater chance of developing some type of dementia. I too am approaching 60 years old. My mom died of a non-Alzheimer related dementia at the age 70. Now at age 83, my dad is in Long-term care an hour away from where I live. Your website is amazing. Your information will aid a good many families affected by this disease. Thank you for having the courage to showcase this often hidden challenge in people’s lives. Your site is well thought out and arranged in an easy to navigate format. Good job! Thanks a lot Marion – this type of feedback urges me on to get going – in sharing more experiences and what I have learned. This is a very useful site. It must also require emotional investment. Thanks Mary – it is hard to see so many family members suffer from this disease. Worse so when they are in the “aggressive” stage – it is important not to react to these outbursts. It is just their frustration showing. I am now learning a lot more from non-family people. This is a nice site that focuses on a very important topic. I hope that you get your word out, to all of those who need the advice that you have to offer. Thanks Ian – please help by sharing the web address for your circles. Thanks Doug – the more I research – the more excited I become about possible solutions that should help people. Hope to be able to publish more soon. This a very resourceful site for a very devastating disease both for suffers and their relatives. Keep up the good work. Thanks Bernard – will do. This is always a concern as you get older. I’m always happy to get some insight. Thanks! This is definitely a topic that needs to be talked about more and I’m glad to see you going into more details on several aspects of it. Kudos to you John! I don’t even understand how I finbished up here, however I assumed this submit used to be good. I don’t know who you might be however certainly you’re going to a well-known blogger for those who aren’t already. time I will be back to read a great deal more, Please do keep up the awesome job.